At the Western Wisconsin Health Birth Center, we believe women and their families should have the birth experience they desire. We are proud to offer safe, empowering, natural care delivered under the premise that women’s bodies know how to give birth and should be allowed to do so without intervention when desired. If the situation requires more intervention, we have state-of-the-art equipment and skilled providers to offer the safety new parents expect. 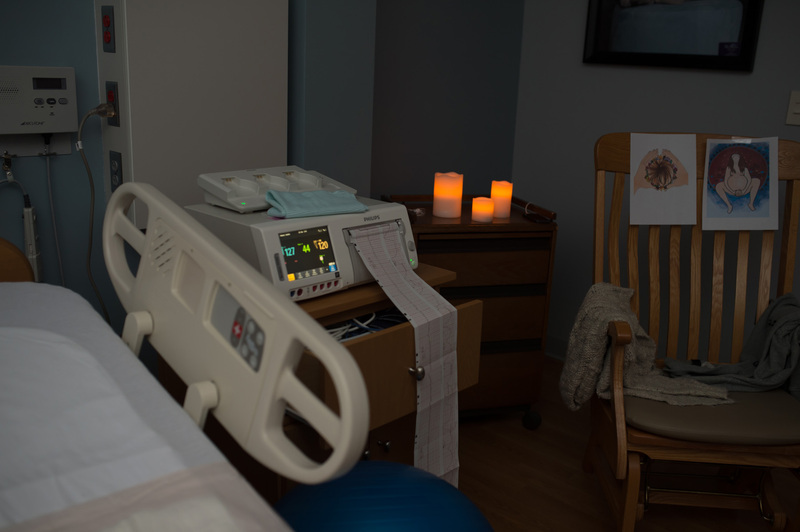 Our luxurious and spacious private family birth suites include all the amenities of a spa with all the comforts of your home and the safety of a medical setting. 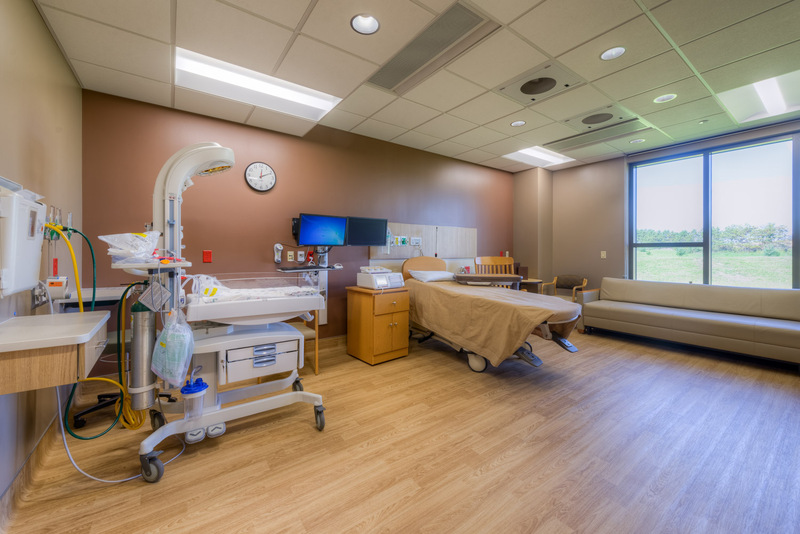 Each birth suite has a private bed, convertible family sofas, rocking chair, private bathroom, air-jetted birthing tub, TV/DVD player, docking station, complimentary wifi, personal refrigerator, and essential oil diffuser. The option of a queen size post birth bed is available in one suite. The private rooms offer natural daylight with an inviting and relaxing view of the prairie. Western Wisconsin Health offers family-centered care focusing on promotion of family involvement in the care of their newborn. Rooming-in is the standard of care because we understand how important it is for the mother and partner to be with their baby and get to know the little person’s personality. Your baby will be in your post-birth suite with you during your entire stay. Keeping your baby in your room helps you to bond with your newborn. Your nurse will assist you with newborn care and will help you learn to care for your infant. Integrative Health services are beneficial to new mothers before, during and after delivery. Western Wisconsin Health offers complimentary 15-minute Integrative Health sessions to new mothers. Our complimentary services include Massage Therapy, Energy Therapy, and Acupuncture. You may choose one or all services. Additional time may be added for $1/minute, which can be paid by cash, check, or credit card. You will pay the practitioner directly. You may also choose to use the complimentary massage therapy session to learn and practice infant massage led by licensed a massage therapist. You will be asked to sign consent for the therapy session, and the practitioner may ask if you are open to the use of essential oils and lotions. Postpartum massage is a great way to care for yourself and your baby after birth. As a new mom, you need to take care of yourself while caring for your newborn. Postpartum massage can help you decrease the discomforts of afterbirth and help you relax and feel cared for during this intense time of your mothering journey. Energy Therapy is a holistic therapy that supports the body’s own innate ability to heal. Receiving treatment after giving birth is beneficial to speed the rate of healing and can also have a positive effect on how you feel emotionally. **A $15 Voucher is included with your Beginnings: Pregnancy, Birth and Beyond book and can be used toward acupuncture services. Click here to access our Integrative Health Techniques Menu. The birth center has a plethora of tools to support you in your labor journey. We have birth balls and peanut balls to support multiple positions during labor both in and out of bed, 2 types of birth stools to support upright birthing position. Handheld mirror, massage tools, and heat packs are also available. The birthing sling is the newest addition to the comfort tools available to patients. We have compiled some tips, tricks, and reminders for you and your partner or support team to use during labor. Welcome the power of your body. Strong contractions are more effective. Take on one contraction at a time. Your body is doing just what it needs to do to bring our baby into the world. What’s happening: Spaced or inconsistent labor with short contractions. Pay attention to the time of day. Have a list of things to do to help occupy this time. What’s happening: Regular contractions, mama is focused during contraction but moving and talking “like normal” in between. Alternate between resting and active positions every 30-60 minutes. Use the 3 sisters of balance (side-lying release, forward leaning inversion, and rebozo sifting). What’s happening: Strong, regular contractions every 3-5 minutes, lasting a minute or more. Focused breathing is now serious between contractions, too. Prepare for the trip to the hospital. Use labor positions and comfort tools. Use words of encouragement and relaxation. Check position. Make her as comfortable as possible. Talk to her in a slow, relaxing, and steady voice. Help her with belly breathing. Remind her to use long, low sounds for vocalizations. Encourage position changes every 30-60 minutes. Add comfort measures, as needed. Remind her to empty her bladder every 1-2 hours. 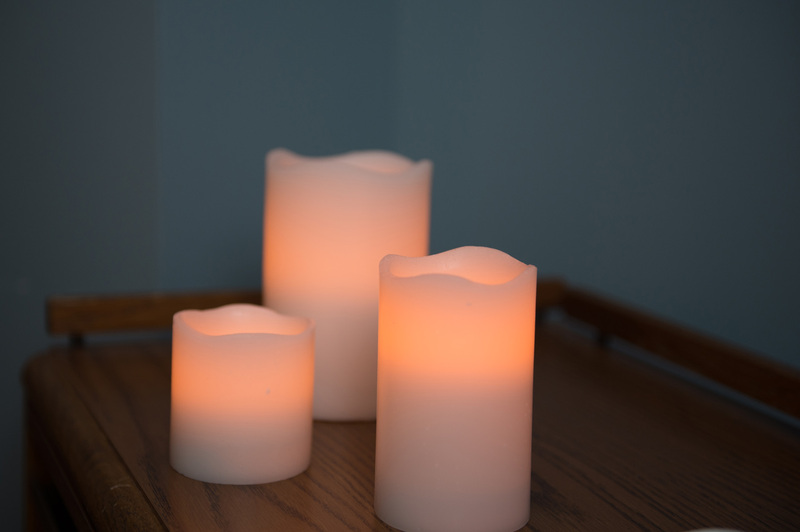 Keep the space calm, and soothing with music and aromatherapy. The Western Wisconsin Health Birth Center strives to make your birth the experience you desire. You may choose to labor with the support of very few, or you may see your birth as a family experience with family, friends, and/or support professionals. We comfortably incorporate fathers, partners, and children into the process. From the moment you go into labor and the precious moments following the birth of your baby, our focus is to allow you uninterrupted time with your new baby with as little interference as possible. Your baby will go to you immediately after the birth and remain undisturbed, skin-to-skin, for as long as possible. We will assess your newborn without disrupting those essential first moments of bonding. We strongly encourage breastfeeding and follow research suggesting initiation of breastfeeding within the first hour of life is of utmost importance. We offer the option of water birth at Western Wisconsin Health because the best available evidence demonstrates that hydrotherapy offers physiological and psychological benefits in labor and birth. 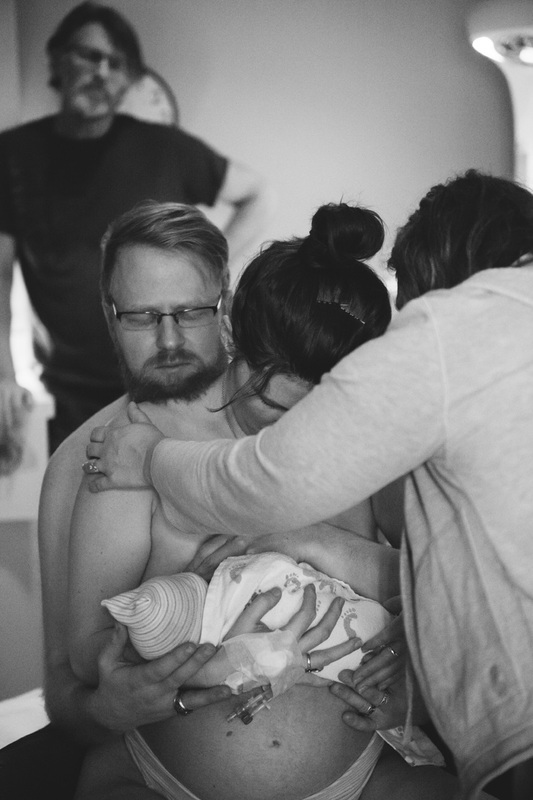 Immersion in water during labor provides comfort, supports relaxation, and is a safe and effective pain relief strategy that promotes natural childbirth. Both the mother and father can go into the tub during the laboring process. Pain relief is the most clearly established benefit of laboring in water. When a woman labors in water, the relaxation of the water allows the hormones of labor to effectively progress the labor process and the warmth decreases the stress hormones. One of these natural labor hormones is oxytocin. Oxytocin production often increases when women are immersed in deep warm water, which can speed up labor without any increase in sensation/pain. Oxytocin also produces feelings of calm and well-being. Our lactation consultants are registered nurses who are certified by the International Board of Lactation Consultant Examiners. They offer support to mothers learning how to breastfeed. Mothers may request to see them during their hospital stay, prenatal visit, or make appointments to see them at the birth center after discharge as an outpatient. These outpatient services are often covered by insurance. 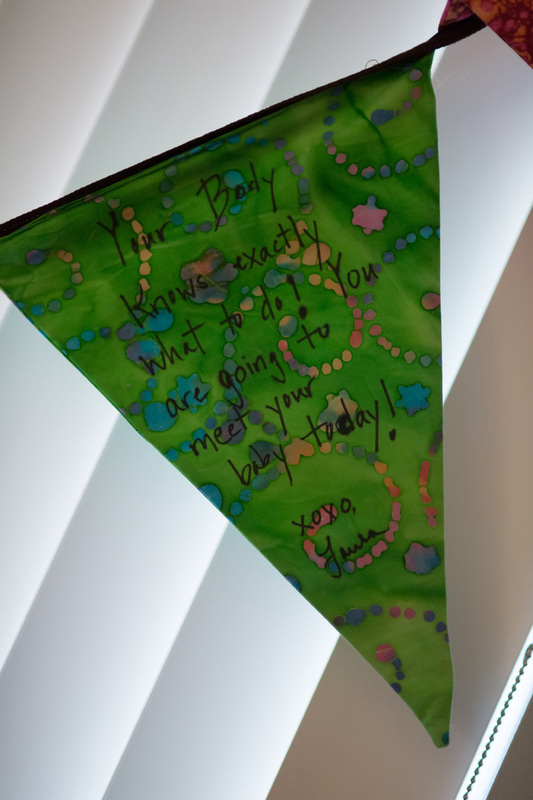 Come and learn how to prepare for an amazing and positive birth experience! Understand the rhythm and stages of labor, your body’s natural hormones, and how to avoid the fear-tension-pain cycle. Gain practical tools for comfort and positions in labor, and know your options regarding medications and birth plans for both vaginal birth and gentle, family centered cesarean birth. Your birth partner will also learn helpful ways to support while enhancing your shared experience. Finish prepared for the basics of newborn care and an easier postpartum transition. This interactive class will include a tour of the beautiful, peaceful Birth Center at Western Wisconsin Health. The curriculum for this class is inspired by Plumtree Baby. What did you enjoy about the class? In addition to all the valuable information you will learn in the childbirth preparation classes, please join us for breastfeeding preparation. Click here to learn more about these classes and register or call 715-684-1281. Western Wisconsin Health has a state-of-the-art infant security system in place. Your baby will be safe and secure while in our facility. We offer the freedom of movement even with a condition which may necessitate the use of continue fetal monitoring. Our wireless fetal monitor system allows movement throughout the facility as well as walks outdoors. It is even water immersible to allow for continuous fetal monitoring during hydrotherapy and/or water birth. Western Wisconsin Heath believes so strongly in promotion of breastfeeding that we have a dedicated well-furnished room for breastfeeding consultations and education. 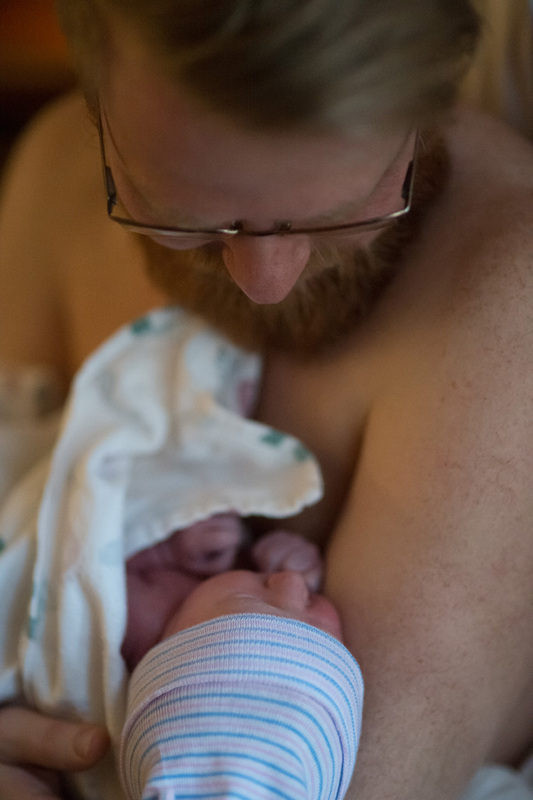 At Western Wisconsin Health patients will be given the option for family-centered, gentle cesarean birth when the surgeon deems it appropriate. 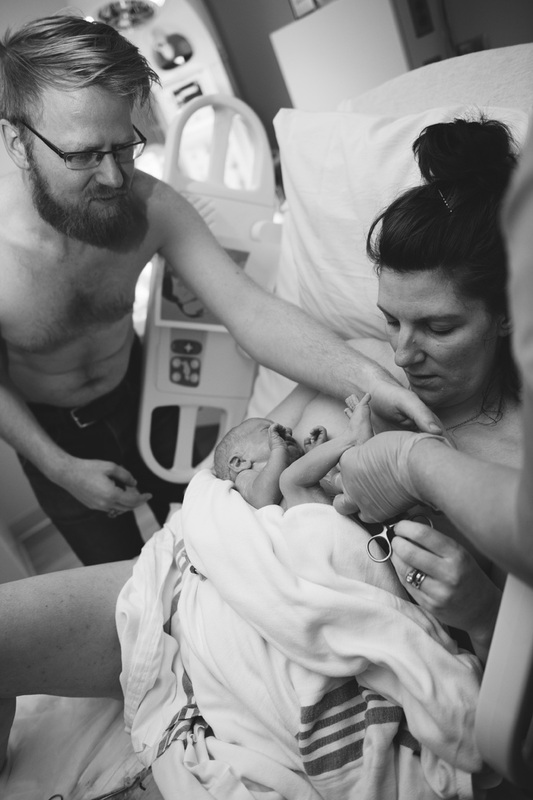 Family-centered, gentle cesarean birth mimics the situation at vaginal birth by allowing the parents to watch the birth of their child as active participants. As quickly as possible the new baby is placed onto the mother’s chest for early skin-to-skin. Increasing evidence shows that women undergoing cesarean birth have a less satisfactory childbirth experience than those delivering vaginally and are more prone to postpartum depression, bonding difficulties and unsuccessful breastfeeding. We are offering this option, when appropriate, to increase maternal-newborn bonding. We offer a full range of wellness and educational services including: pediatrics, integrative medicine, prenatal yoga and aquatics, integrative health techniques, nutritional counseling, childbirth education, lactation support and more. At Western Wisconsin Health, we welcome visitors at any time depending on the patient’s condition, accommodations, and care plan. For your convenience, there is a family waiting area located near the Birth Center. We do ask that if you are ill or have been ill recently you do not come to visit mother and baby. Also when here please use the foam hand sanitizer which is available throughout the facility. Contact us today to schedule a tour or to learn more about our Birth Center and providers. Western Wisconsin Health is the BEST facility ever for giving birth! Our every need was met and we felt very comfortable. I can't say enough positive things about the staff at WW Health. We are SO blessed to have Western Wisconsin Health in our community. Everyone was so incredibly supportive, responsive, and kind! I felt respected, safe, cared for, and most importantly heard. Western Wisconsin Health is truly an excellent health resource for the community. We are so grateful we found Western Wisconsin Health. Everyone was so supportive of our birth plan. My experience was amazing and everything I was hoping to have.